Hilary Bryan studies the interaction of the human body with theoretical spaces and other beings, using Laban Movement Analysis to interpret critical discourse. 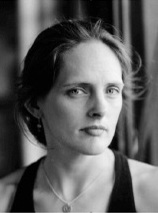 Ms. Bryan teaches dance technique, movement analysis, improvisation, and choreography at universities and international festivals, and adjudicated the International Competition of Contemporary Choreographers in Kiev, 2007. Certified in Laban Movement Analysis (LMA) by the Laban/Bartenieff Institute of Movement Studies, New York she teaches in integrated Movements Studies LMA certificate programs with Peggy Hackney and Janice Meaden. Ms. Bryan directs Hilary Bryan Dance Theater, whose work has received international critical acclaim in Moscow, St. Petersburg, Kiev, Taipei, New York, San Francisco, Los Angeles, and Wellington, New Zealand. Ms. Bryan was awarded the prestigious International Educational Exchange grant for independent academic research in the Soviet Union and in 2004 founded The Somatics Series of workshops exploring somatic discplines (www.somaticsseries.org). In 1999 she founded a corporate training business to prevent and manage repetitive strain injuries (RSI), and The Body At Work Ergonomics bases its curriculum on Laban Movement Analysis and hires Certified Movement Analysts as corporate trainers. My current research weaves the space of the moving human body with theoretical spaces. I seek to articulate a dynamic awareness of space that encourages a person to wake up as an engaged human being actively participating with the environment and with everything else that shares our dynamic space, including other beings. My understanding of Laban Movement Analysis (LMA) enables me to interpret critical discourse in ways that have not been previously been accessible to the world of words. Central to my study is an exploration of a particular choreography. In 1913 the Ballets Russes inspired fistfights in the audience with their premiere of Le Sacre du Printemps. What was this shared affect that transferred from stage to audience? What does it feel liek ot perform that movement? What might it have felt like to be seeing it then? We continue to be fascinated by this violent depiction of a fertility ritual. For Hilary’s website follow this link.